Call to Mind, a 4-year-old owned and bred by Her Majesty, The Queen, took to the Belmont grass for the first time on Tuesday, galloping over the inner turf course in preparation for the Grade 2, $400,000 Belmont Gold Cup Invitational on Friday. The homebred, who arrived at Belmont last Friday, stepped onto the course around 9 a.m. and turned in a strong gallop under exercise rider Simon Scott. Galloping ahead of him was Prince of Arran, who also will be competing in the two-mile Belmont Gold Cup. Call to Mind has won two of eight starts, including a 1 3/4-mile listed stakes last August at Goodwood. The Galileo colt enters the Belmont Gold Cup off a third in the Group 2, 1 3/4-mile Yorkshire Cup on May 18 at York. Eustace said Call to Mind will gallop on the main track tomorrow and might jog the morning of the race. Call to Mind will be Elizabeth II’s first starter at Belmont since Dawn Glory, trained by Christophe Clement, finished third in a maiden special weight in October 2012. A nice early-morning, 1 ¼-mile gallop around Belmont Park has Caledonia Road just about set to take on Grade 1 Kentucky Oaks winner Monomoy Girl and five other 3-year-old fillies in the Grade 1, $700,000 Acorn on Saturday at the Belmont Stakes Racing Festival. Assistant trainer Heather Smullen was aboard for the gallop and said the 2017 2-year-old filly champion would school at the gate later Wednesday and perhaps on Thursday afternoon. Caledonia Road, owned by Zoom and Fish Stable Inc., Charlie Spiring and Newtown Anner Stud, has displayed her talent around two turns, winning the Grade 1 Breeders’ Cup Juvenile Fillies and starting 2018 with a win in a one-mile optional claimer on Apri; 29 at Belmont. The Acorn is a one-turn mile, and Smullen said she’s not sure how the daughter of Quality Road will perform against the likes of Monomoy Girl, trained by Brad Cox, and Grade 1 Del Mar Debutante winner Moonshine Memories. “Caledonia Road is doing really well, ” said Smullen, the assistant to Ralph Nicks, who is expected to arrive at Belmont Park later Wednesday. “The only thing is it’s a one-turn mile and we know she’s stronger around two turns. Caledonia Road was purchased for $140,000 at the 2016 Keeneland Sale and won her first start, a seven-furlong race at Saratoga last September. A month later, she stepped up into Grade 1 company and finished second in the Grade 1 Frizette. Then came her 3 ¼-length victory in the Breeders’ Cup under Hall of Fame rider Mike Smith, who will be aboard her for the Acorn. In four races, the filly has career earnings of $1,277,800. For the fourth time in his career, trainer Dale Romans brings a horse to Belmont Park with designs on spoiling a Triple Crown bid. 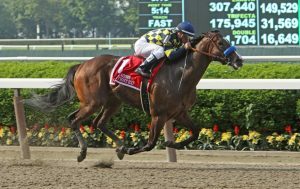 Albaugh Family Stables’ Grade 1 winner Free Drop Billy will be a decided long shot against Kentucky Derby and Preakness winner Justify in Saturday’s Belmont Stakes, but Romans wouldn’t want to be anywhere else. Free Drop Billy, 16th in the May 5 Kentucky Derby last time out, will break from post-position 2 in a field of 10 as a 30-1 outsider in the program. The only horse inside him will be Justify, attempting to become the 13th horse to sweep the Triple Crown and just the second to do so without a loss. Romans was seventh in the 2012 Belmont with Dullahan, who inherited the favorite’s role when Kentucky Derby and Preakness winner I’ll Have Another was scratched on the eve of the race with a career-ending injury. Two years later, Romans-trained Medal Count – sent off at 24-1 – was third to Tonalist but three-quarters of a length ahead of California Chrome, who dead-heated for fourth in his Triple Crown attempt. Keen Ice was 17-1 in 2015 when he finished third behind American Pharoah, whose victory ended a 37-year Triple Crown drought. Keen Ice would go on to become the only horse to beat American Pharoah during his 3-year-old season in the Grade 1 Travers at Saratoga Race Course. Free Drop Billy trained early Wednesday morning at Churchill Downs before boarding the same flight bringing Justify to New York. They were expected to arrive at Belmont Park in early afternoon. Gary Hall, SayJay Racing and Brooke Hubbard’s Belmont Stakes starter Blended Citizen will navigate the 1 ½ miles of Belmont Park’s main track from the outside post 10 in Saturday’s Grade 1, $1.5 million classic, and will be one of nine others looking to prevent Justify from becoming the 13th winner of the Triple Crown. The colt galloped once around the main track early Wednesday morning, and will continue the same regimen until race day. The Doug O’Neill-trained colt by Proud Citizen is the lone starter in the 150th Belmont Stakes who owns a start and a victory at Belmont after he won the May 12 Grade 3 Peter Pan by 1 ½ lengths. The post-position draw was just another step closer to race day, and not a major concern for Team O’Neill according to assistant trainer Leandro Mora. The big brown Kentucky-bred was labeled a slow learner early on. After three starts on dirt where he was unplaced, he was tried on grass where he began to progress, but it wasn’t until he debuted with blinkers in the Grade 3 Jeff Ruby Steaks at Turfway Park that the colt turned the corner. Riding a horse with Blended Citizen’s style takes a jockey who can judge the pace as well as knowing when to send a long-striding horse according to Mora. Kyle Frey, who has been aboard the colt for his last four races and will ride in his first Belmont Stakes on Saturday, fits his horse perfectly. 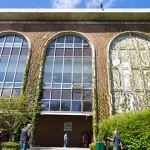 The 149th running of the Belmont Stakes this Saturday won’t include the Kentucky Derby (Always Dreaming) or Preakness (Cloud Computing) winners but could attract its largest field since a record 15 broke from the starting gate in 1983. The Triple Crown trail officially ended with the running of the 148th Belmont Stakes. Many watched these runners since their two-year-old seasons and you may find yourself getting a little sentimental about this chapter of their racing career ending. 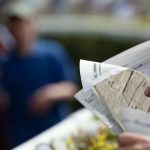 Before you start putting away your notes and stats, we may have just started the real handicapping. We have late summer racing and, of course, the road to the Breeders’ Cup. So start up your notes and watch-lists again as the best is yet to come. Some of these runners will have serious Breeders Cup implications. There was a solid group of six who went to post and the big chalk was the incredible Cathryn Sophia. All of these gals glimmer in their own right, but here is one you’ll want to keep on your watch list for future racing. Go Maggie Go has done very little wrong and comes to the races from the Dale Romans bran. This daughter of Ghostzapper had her worst finish in her brief career (4th) and I’m looking forward to her races down the road. She has two 1 1/8 races (9 furlongs) under her belt and looks to be finding herself with every race. She responded well to the rider’s commands and looks like this race is just a stepping stone for bigger things to come. Seven fillies and mares took to the track led by Curalina who was the public favorite this day. Sheer Drama doesn’t have to take her track with her. She is consistent and shows tactical ability at all distances. She lunged at the start this day and was wide before trying to uncork a bid. This race is a “toss out” and handicapper’s beware. This daughter of Burning Roma is going to blossom into a real monster with a little racing luck. A field of thirteen fillies and mares assembled and with a field this size you may have to go back and watch the replay three or four more times to get the correct read. Here are a couple of gals who will should be on the radar screen for handicappers down the line. Faufiler – California jock Drayden Van Dyke was aboard for Graham Motion, and both rider and trainer are well versed on the greensward. This daughter of Galileo is a stone cold closer. As long as there’s a solid pace she’ll come rolling from the clouds. In time I think we’ll see her a few strides closer to the pace setters, and that will make double dangerous to pick off runners late in the lane. She mainly has traveled a flat mile, but her breeding suggests she may enjoy added ground. After shipping across the pond from France, she appears to be getting better with every start. Recepta has a late punch that could knock down the champ at any oval. John Velasquez was in the irons this day, and she did very little wrong except come up a bit short nearing the wire. She’s well traveled and merits respect anywhere she’ll run. Her best efforts may range from one mile to 1 1/8 on the turf. Things look very bright for the future. Just like a well-aged wine I think Frosted will only improve with time. The time figures from every publication are off the charts and he dismissed the “Dubai-Jinx” after getting beat at Meydan and putting on one of the best shows of his career. His late summer-fall campaign will be one to behold if all goes well, and right about when the Breeders’ Cup frenzy is at a fever pitch this will be one of the runners we’ll all be talking about. Nine runners went to post and the public made Flintshire from the Chad Brown barn the public choice at the windows. Flintshire (GB) – This world traveler from the Chad Brown barn had the services of one of the best turf riders in the game with Javier Castellano. His passport is stamped in Hong Kong, France, Dubai, and the United States. He missed by a 1/4 length in the 2014 edition of the Breeders’ Cup Turf, and this son of Dansili looked like he has yet to find his best gear. One thing is for certain, every time he takes to the track he will be one of the tough guys to contend with, and if this race is any indication I can’t wait until we see him back on the weeds. As the media missed an opportunity to see Nyquist return for some payback from his Preakness loss, and the rumors swirled around Kent Desormeaux for personal problems. The fans we’re treated to a full field of thirteen runners and, in the end, one incredible finish for the Triple Crown. Destin – This son of Giant’s Causeway has the look of maturing colt at the right time. Add in some well deserved rest and a plan for the later part of the year and we’ll have one tough cookie going to post. Take nothing away from the fast closing effort of the winner Creator who received a well timed ride from the ultra-talented Irad Ortiz Jr. Looking ahead, I see a runner with tactical ability who will be feared as a front end presence or stalking just off the hot pace. He should probably find his best races in 1 1/16 – 1 1/8 events. His tactical style fits like a glove and this kind of ability plays well on any oval. By the time Breeders’ Cup is in full view, he’ll be one of the major players on everyone’s tickets. 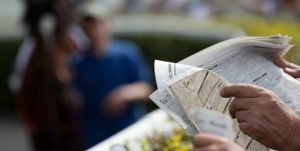 Get the complete analysis of the 2016 Belmont Stakes with Nilsen’s longshot top selection. 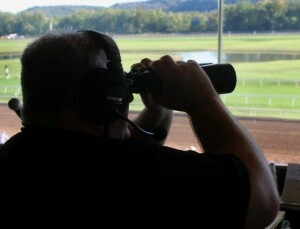 Nilsen gives out a Win wager on his top, longshot horse and has mapped out Exacta and Superfecta partwheel tickets for the big race, keying around his top two choices in the race. This is a great betting race with 12 runners entered to face overbet favorite Exaggerator, who is currently 4/5 in the early wagering and is unlikely to drift up. Nilsen gave out the winner of the Preakness in his last Triple Crown analysis. 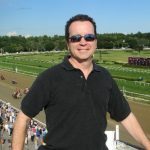 Founder of AGameofSkill.com, Nilsen is the winner of 5 major handicapping tournament and a 12-time qualifier to the million-dollar National Handicapping Championship (NHC). Download now for only $9.97 to any device.